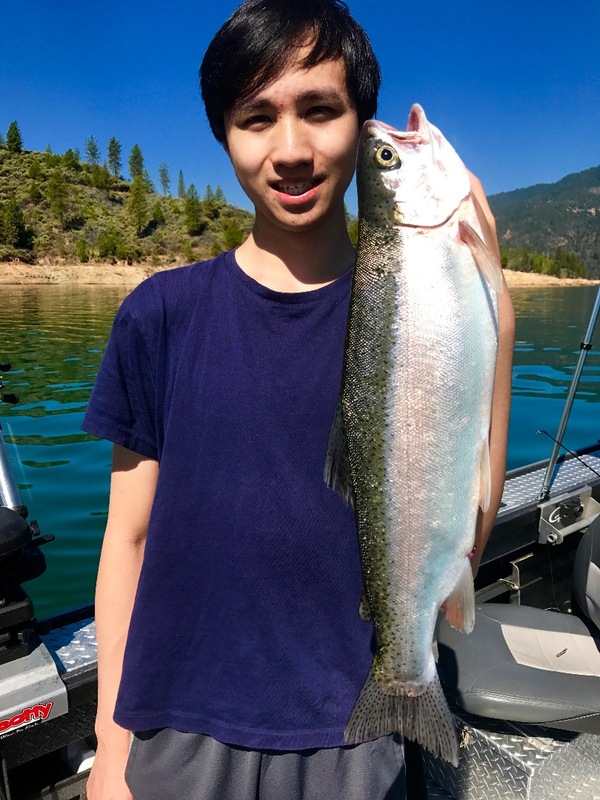 These Shasta Lake rainbows are nothing short of spectacular and they are a blast to catch on light gear. 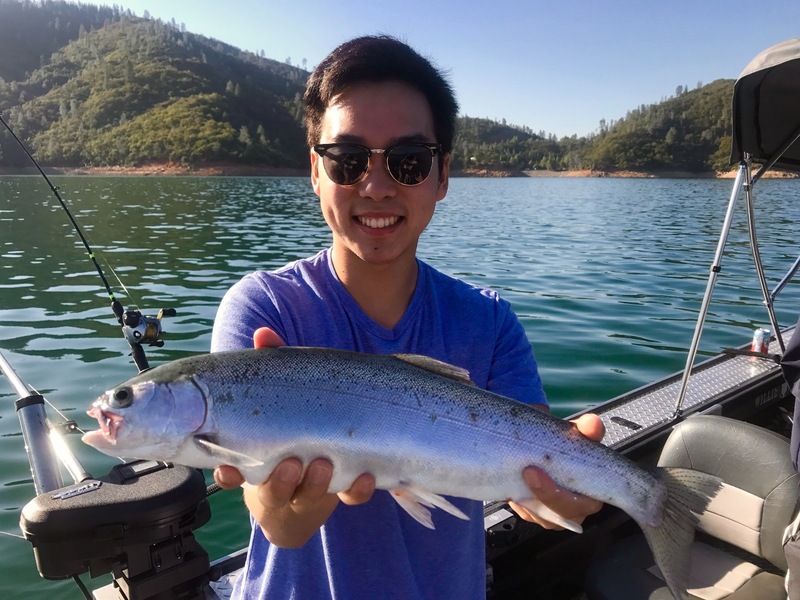 Once again Shasta Lake produced some very good fishing for some great rainbow trout. We caught all of our fish at 65'-70' feet trolling a variety of Mack's Lure porducts. The 4" sling blades in the UV colors and the Mack's small Double "D" in UV or prism are all you need. I have a preference for the Humdinger spoons on Shasta, especially the new holographic and Captain America colors. 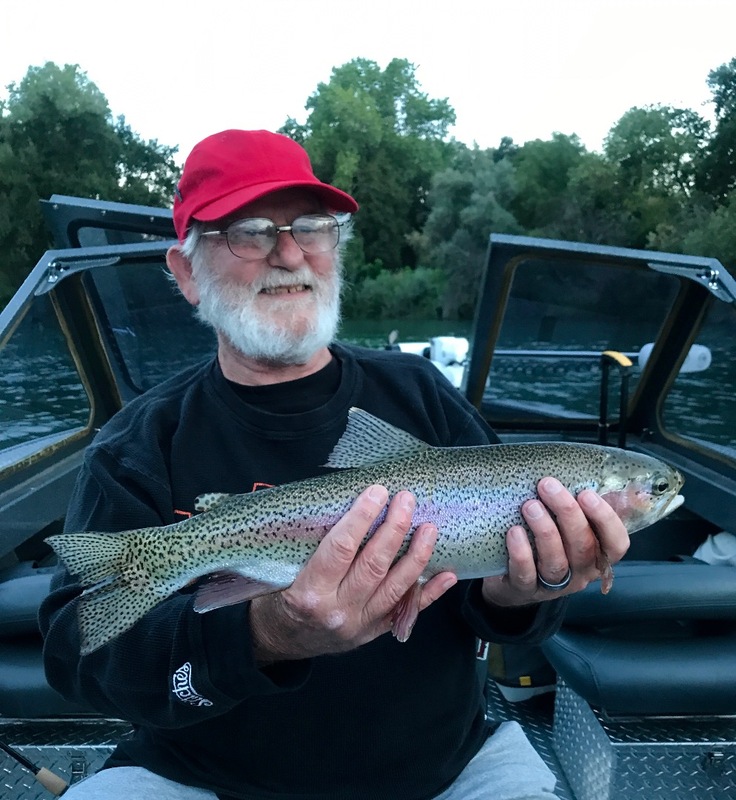 I expect the good fishing on Shasta to hold up well into the fall season and will have plenty of open dates if you would like to schedule a trip. Just ask anyone who fishes Shasta and they'll tell you its the best year they've ever had. Sac River steelhead bite holding up!